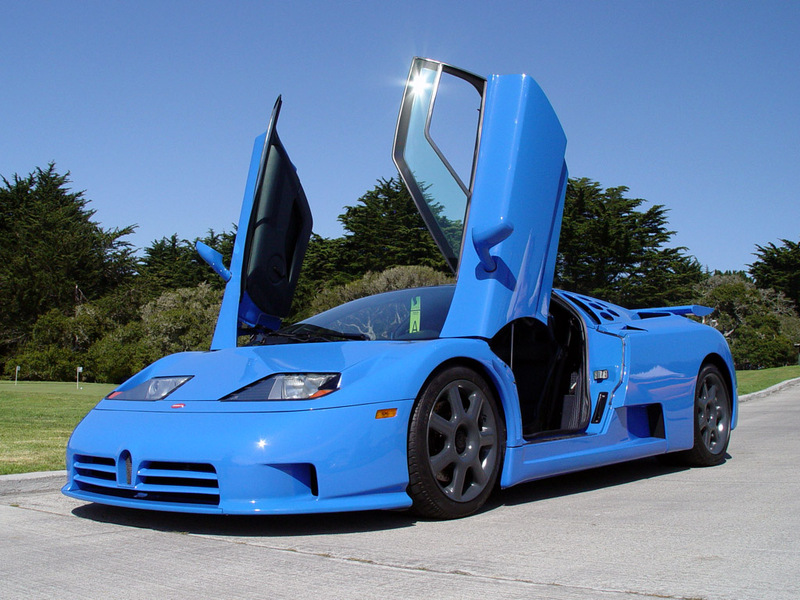 The Bugatti EB110 is a sports car manufactured by Bugatti Automobili SpA in between the years 1991-1995. The price of the Bugatti EB110 cost over $350,000 US, it was also driven by Phil Hill, a United States automobile racer. The Bugatti EB110 was also purchased by the seven time world champion Michael Schumacher, which he later sold the car in the year 2003. The Bugatti EB110 featured six speed automatic transmission and the gear shifts can be performed easily at higher stress. The body of the car is made of aluminum and carbon fibre and it featured a double wish suspension, glass engine with speed sensitive electronic rear. 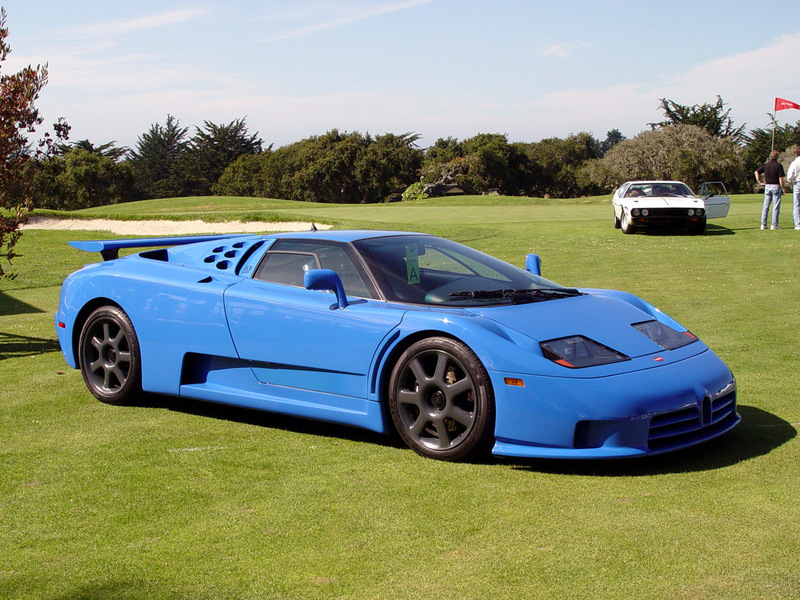 In the year 1991, the Bugatti EB110 featured a 3.5 L quad-turbo V12 engine with 60 valves. The capacity of the engine is 3499 cc and it delivered an output power of 524 bhp at 8000 rpm and it reached the speed of 62 mph in 4.5 seconds and the top speed is about 213 mph. 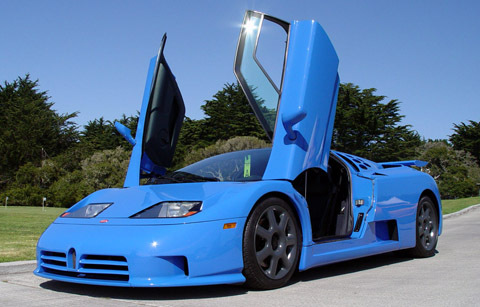 In the year 1992, the Bugatti EB110 â€œSuperSportâ€ version was launched. The engine delivered an output power of 592 bhp at 8000 rpm and it reached the speed of 62 mph in 3.2 seconds and the top speed is about 216 mph. The B Engineering Edonis was built based on the model of Bugatti EB110 SuperSport. It featured a powerful 3.5 L quad-turbo V12 engine with four IHI turbochargers and an engine capacity of 3760 cc. The engine delivered an output power of 670 bhp at 8000 rpm and 542 lb-ft torque. It reached the speed of 62 mph in 3.9 seconds and the top speed is about 227 mph. The Dauer EB110 was manufactured in two different forms which are the EB110 and Super Sport. Both these cars featured a powerful 3.5 L quad-cam V12 engine with four IHI turbochargers. The engine of the Dauer EB110 delivered an output power of 560 bhp at 8000 rpm and the Super Sport delivered an output power of 650 bhp at 8200 rpm. Both these cars reached the speed of 60 mph in 3.3 seconds and the top speed is about 230 mph. 1.The Buggiti EB-110 Model: Top Perforance is top Speed is 230 Miles Per Hour too! That car looks ugly as hell,but if it were my car I’d say it doesn’t matter on the looks,but what matters is how fast it goes. This is corny. Why does it look like a bigger piece of turd than the Veyron? Very Nice Caaaaaaaaaar I Love It. looks like a peice of lego…………..
Amazing model it is. . . . . AWESOME CAR BUT IN SOME PARTS LOOKS QUITE UGLY IN PARTS ANDANYWAY BUGATTI PUT LAMBO DOORS ON ALL OF YOUR CARS IT LOOKS SO MUCH BETTER!!!!!!!!!!!!!!!!!!!!!!!!!!!!!!!!!!!!!!!!!!!!!! Everyone that is making bad or mediocre comments about this car needs to realize that this car came out in 1991. Now think of all the other cars in 1991 and compare this car to them. this thing looks like a toy car… no offense bugatti. scrolls over 216 mph only? It Doesn’t matter on the looks,what matters is how fast it goes,and what’s underneath the hood!